Malta, the tiny European island situated in the central Mediterranean Sea, has become the first country to provide an official set of regulations for operators in the blockchain, cryptocurrency and DLT (Distributed Ledger Technology) space. On July 4, 2018, the Maltese Parliament passed 3 bills into law, establishing the first regulatory framework for blockchain, cryptocurrency and DLT. Malta’s Junior Minister for Financial Services, Digital Economy and Innovation, Silvio Schembri, stated that the passing of the new laws marked an important milestone, as companies will be provided with the necessary tools to operate in a regulated environment. “When we started looking into what was needed for the blockchain industry to flourish, we understood early on that the serious operators wanted legal certainty. As of now, operators are functioning in jurisdictions of legal uncertainty. Operators fear that one day a government in that particular jurisdiction will tell them they aren’t within the law – even though there are currently very few laws in place. This is creating legal uncertainty and we wanted to change this,” Schembri told me. 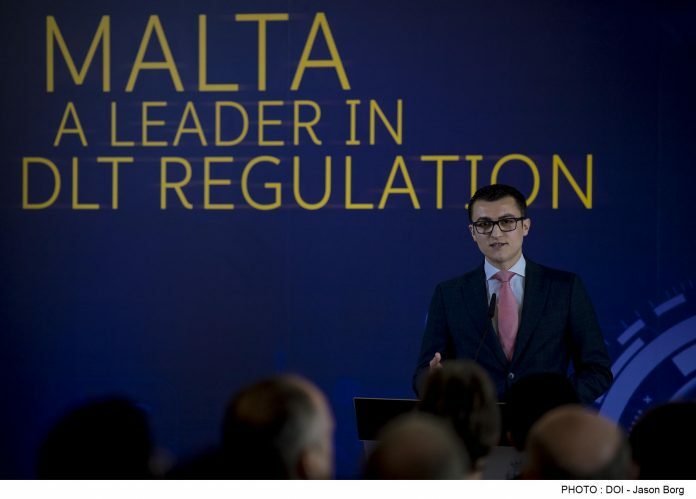 The passing of the new laws is quite significant on a global scale, as Malta is now the first country to offer a holistic regulatory framework for DLT operations. In other words, these laws not only deal with digital currencies, ICOs and cryptocurrency exchanges, but also focus on a wide range of technologies that are not necessarily financially-focused. The first law, known as the Malta Digital Innovation Authority Act (MDIA Act), establishes the Malta Digital Innovation Authority and certifies DLT platforms. This law will focus on internal governance arrangements and will outline the duties and responsibilities of the Authority to certify DLT platforms in order to ensure credibility and provide legal certainty to users wishing to make use of a DLT platform. The laws will officially go into effect in October of this year. Operators will then be able to review the laws to ensure that their companies are in line with each law. In the meantime, according to Schembri, if there is a company wanting to launch an ICO that is currently registered in Malta, that company will be allowed six months to comply with the laws. This period will be extended to one year for exchanges. “We have chosen October for the laws to be put into effect, as Malta will hold a government-sponsored summit for DLT and blockchain innovation during October 3-5,” Schembri explained. The summit, known as the DELTA Summit (which got its name from the Greek letter Δ, which means change in math), will host all the major players in the blockchain industry. Malta’s prime minister, Joseph Muscat, will make an official opening announcement, followed by discussions with Binance and OKEx, two of the world’s largest crypto exchanges that have both announced that they will set up operational bases in Malta.